Because this is a sample kit, I won't be giving a full review or each one. 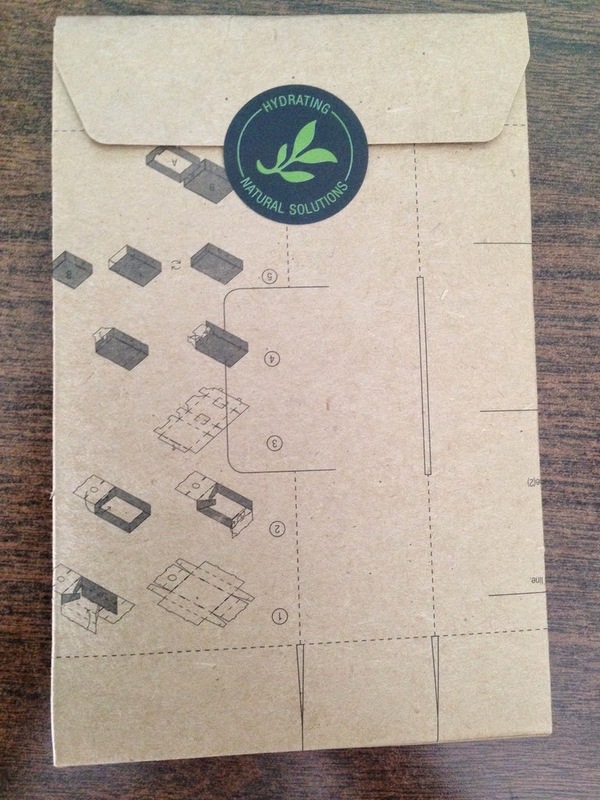 Innisfree was/is giving out free green tea sample kits to everyone who completes their tutorial. For those who haven't claimed there's yet, click here. I claimed mine from the website on March 13, 2015, and received it on April 10, 2015 (wow, almost one month). 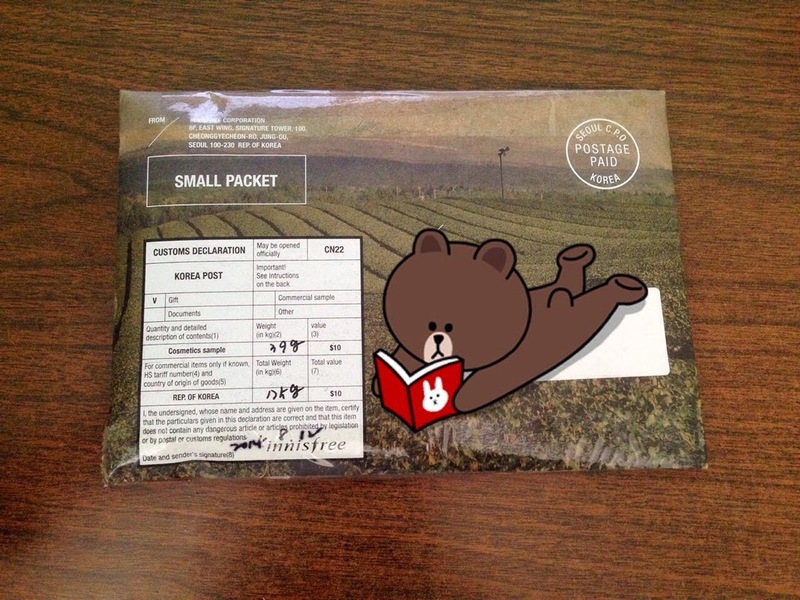 This is the first time I actually purchased from the official Innisfree website and it shocked me how long it took for the sample kit to come considering it was shipped from Korea. I usually get packages from Korea within 2-3 weeks from sites like RoseRoseShop and Jolse. This product has a lot of comedogenic ingredients in the formulations would could trigger acne such as cocoa seed butter, lauric acid, myristic acid, stearic acid, and palmitic acid. I can gladly say that I did not break out from this. Propanediol : It helps the formulation of the product to penetrate the skin better. Due to its moisturizing properties, it is a good product for those whole want an extra boost of hydration onto their skin. Lauric Acid : A fatty acid that is found in coconut oil and other natural fats. Due to its scent it is often used to add fragrances to cosmetic products. Myristic Acid : Also known as Tetradecanoic Acid, is a fatty acid found in coconut oil, butter fat, palm oil, nutmeg, and spermacetin. It is known to be highly comedogenic. Carbomer : It is often used to stabilize the consistency and create a gel-like texture. Ethylhexylglycerin : A natural preservative used in the formulation as a substitute to parabens. PEG-100 Stearate : It created by combining naturals oils and Stearic Acid which a 'water-soluble ester. The ingredient is usually used as an emollient, emulsifier, and a moisturizer. PEG-100 Stearate is a (highly) comedogenic ingredient. If you see the letters PEG, it probably means that that the ingredient is comedogenic. Butylene Glycol : It is a moisturizing agent which has the ability to take take moisture from the air and retain it, keeping the formulation of the product to be more resistant to high humidity. All of these products have a mild scent which is actually delightful. It doesn't have a floral scent to it. I'm not sure how green tea smells like but this scent smells relaxing without being overpowering. The green tea extract percentage in the cream is lower than the rest of the samples at 69.5%. It would be better to use the Innisfree Green Tea Balancing Lotion or Innisfree Green Tea Balancing Skin because of the higher levels of green tea extract, and also use any other non-comedogenic moisturizer. The texture is lighter than gel. I believe this is a good moisturizer for those with combination/oily skin types due to it not being overly greasy. Even though the moisturizer is light, it's still very moisturizing compared to the 'Benton Snail Bee High Content Steam Cream' (or even higher according to my moisture test device). The texture of this serum is liquid-y and lightweight. When thinking of the moisture boost its giving me, I believe it doesn't give me much of it because due to its lightweight, it evaporates (or absorbed into my skin, but I doubt it) too quick for me to feel the benefits from it and for my moisture device to measure. Because it evaporates pretty fast, it's definitely not sticky at all. If you do want to buy this product to reduce redness, I believe it would be suitable for all skin types. Even though it says lotion, the texture as that of water. To be honest, I would use this as a hydrating toner instead of my 'Rohto Hadalabo Gokujyn Hyaluronic Acid Lotion'. I find it even more moisturizing than the Hadalabo lotion (which evaporates off my skin pretty quickly). The days I used this instead of the Hadalabo lotion I could physically tell that my skin was more moisturized even without my moisture test device. The formulation contains 87% of green tea extract which helps relieve the redness on my face (especially after I do facial extractions). The rest of the ingredients aren't very comedogenic, so I don't feel hesitant putting this on my skin. I would definitely purchase the full product! This product is a moisturizing toner which contains green tea seeds and Jeju fresh green tea like the rest of the products above. I find the texture of this and the lotion version to be very similar so I wouldn't really use these two products individually but rather just choose one of them. I just compared the consistency of the 'lotion' and 'skin' again and I find that the 'skin' version is lighter than the lotion. I don't know how to compare and contrast this to the 'Innisfree Green Tea Balancing Lotion' because they are very similar. It's like if I compared different brands of water bottles. What I can say is that the lotion version is more moisturizing (despite the same consistency), but also contains 'PEG-100 Stearate', which is a comedogenic ingredient. But honestly, I still lean towards the lotion than the 'skin' version. Innisfree Green Tea Balancing Cream : No, poor ingredients. 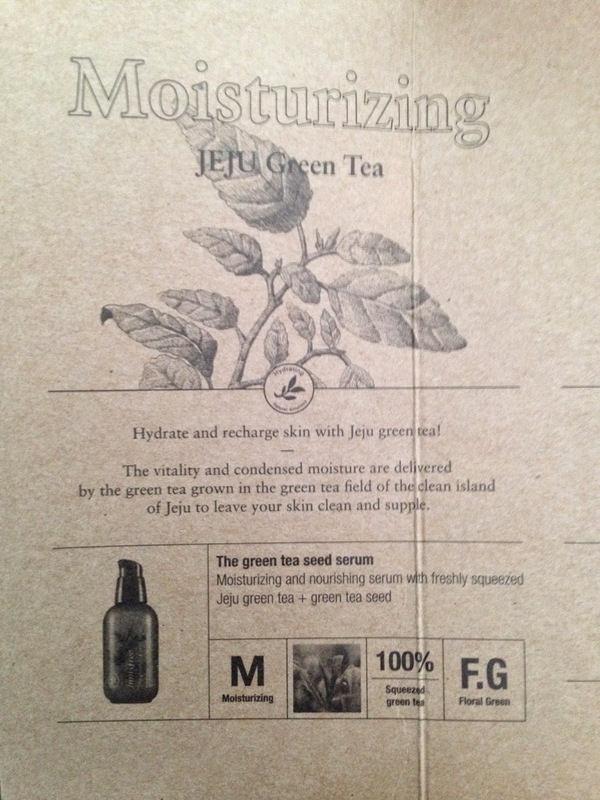 Innisfree Green Tea Seed Serum : No, pretty weak. 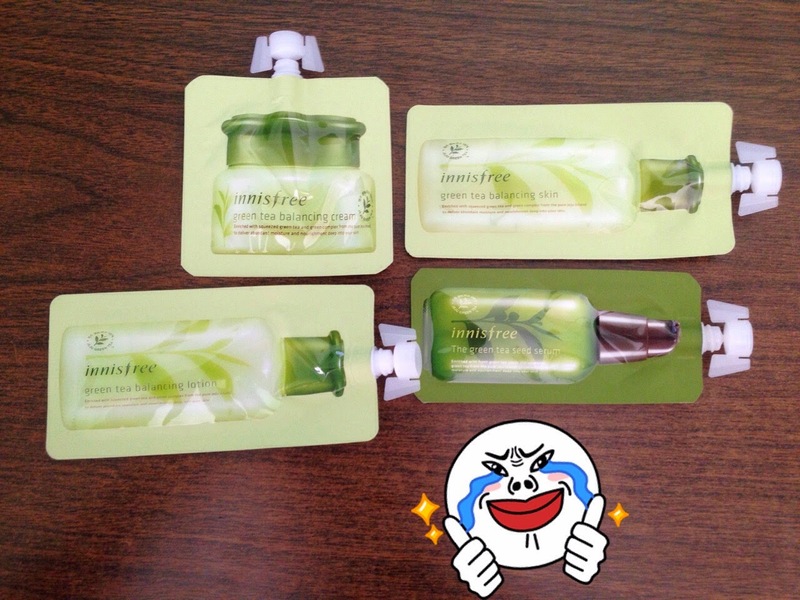 Innisfree Green Tea Balancing Lotion : Yes, moisturizing as hell. 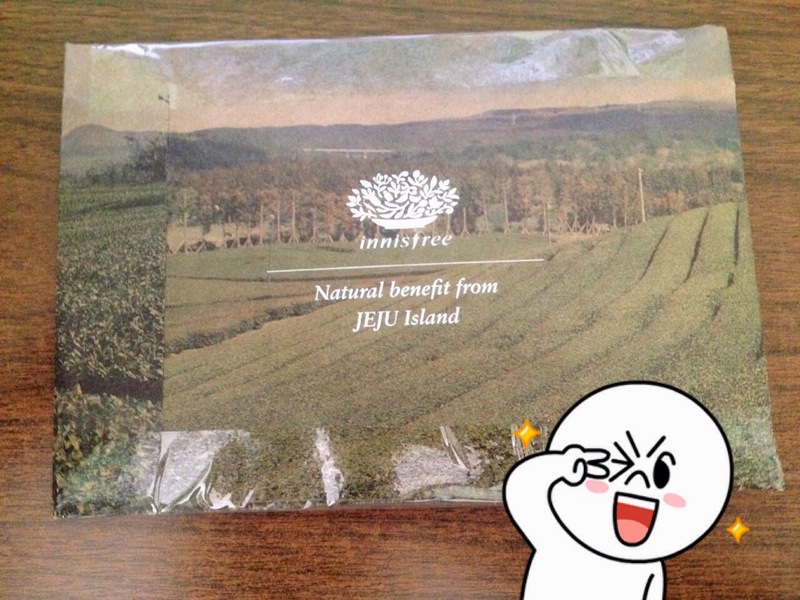 Innisfree Green Tea Balancing Skin : No. They want us to use the 'skin' after the 'lotion', but one can easily see they are both hydrating toners and buying both wouldn't really intensify the benefit. One hydrating toner is enough. I prefer the 'lotion' because of it's slightly thicker consistency which thus gives my skin more moisture.